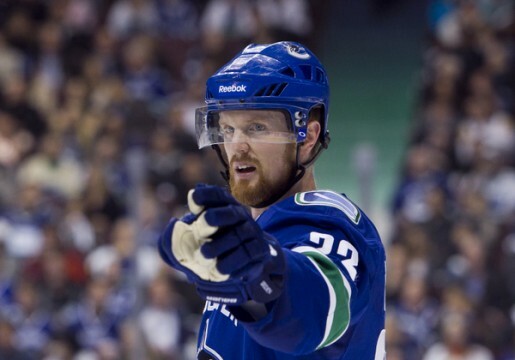 Will 2014-2015 Be The Vancouver Canucks' Last Stand? Will 2014-2015 Be The Vancouver Canucks’ Last Stand? For the Vancouver Canucks, 2011 seems like it was a long, long time ago. The Canucks were on top of the hockey world that year. They won the President’s Trophy as the league’s best regular season team, finishing with a whopping 117 points. The Sedin brothers were NHL superstars, with Daniel Sedin’s 104 points winning him the Art Ross Trophy as the league’s top scorer. Roberto Luongo was a wall in net, finishing as a Vezina finalist. Ryan Kesler was the league’s best defensive forward. Alexandre Burrows, Christian Erhoff and Kevin Bieksa all played key supporting roles, and played them very well. Their magical, seemingly perfect season would ultimately end in heartbreak, however, as the Canucks fell excruciatingly short of winning the Stanley Cup, losing to the Boston Bruins in the seventh and deciding game of the final. The fans protested. Downtown Vancouver burned. The dream turned into a nightmare. And the Canucks themselves? They haven’t been the same ever since. Sure, the Canucks would repeat as President’s Trophy winners in 2012, with 111 points. They steamrolled through the regular season once again. But the Sedins’ offensive production was down. Same with Kesler’s. Luongo’s save percentage went down, too, and the seeds of a goaltending controversy between him and outstanding young backup Cory Schneider were already beginning to bear fruit. By the time the playoffs rolled around the Canucks didn’t look anything like the league’s top team, bowing out surprisingly easily in the opening round after only five games against the Los Angeles Kings. Fast forward to 2014. The Canucks, with only 83 points, miss the playoffs for the first time since 2008, finishing 12th in the Western Conference. The risky decision to hire the infamously controversial head coach John Tortorella backfired spectacularly, and the experiment was ended after only one season. Longtime president and general manager Mike Gillis was also relieved of his duties. Luongo, after years of rampant trade speculation, was finally, mercifully, traded to the Florida Panthers. By all accounts, it was a disastrous season for a team that, only three years prior, came within one game of winning the Stanley Cup. A lot changed in Vancouver this summer. Now, with the start of the 2014-2015 regular season just around the corner, there’s an air of optimism surrounding the Canucks because of those changes. New head coach Willie Desjardins comes in fresh off of leading the Texas Stars to a Calder Cup victory as AHL champions. Trevor Linden, a former Canucks captain and perennial fan favourite, is the team’s new President of Hockey Operations. Veterans Radim Vrbata and Ryan Miller signed on as free agents and bring impressive resumes, which should help steady the ship. On paper, the Canucks seem primed and ready to take a step forward and rebound from last year’s disappointing season. They’ll certainly have to, however. It could be their last chance to do so for a long, long time. If there’s one thing that’s a constant in the NHL, it’s that all good things must come to an end. In this case, those good things are good hockey teams. Building a dominant hockey team is a remarkably difficult thing to do; sustaining it over an extended period of time is on another level entirely. The league’s powerhouse teams from the late 1990s and early 2000s – the New Jersey Devils, the Colorado Avalanche, the Dallas Stars – have all fallen from grace in the last decade, with only the Devils making the Stanley Cup finals, in 2012. Interestingly, the other powerhouse team from that era, the Detroit Red Wings, managed to extend their success, winning the Cup in 2008. Even more remarkably, the Red Wings are currently on a streak of making the playoffs in 23 consecutive seasons, the longest such streak in professional sports. This sort of sustained success, however, is certainly the exception, not the rule. The Wings don’t look like true contenders any more, and they’ll have a long uphill climb ahead of them if they want to continue the streak and make the playoffs again this year. What did all of those teams’ declines have in common? The aging, and eventual retirement, of their core, superstar players. The Colorado Avalanche haven’t fully recovered from the loss of Patrick Roy and Joe Sakic. In new Jersey it was Scott Stevens and very recently Martin Broduer (the 42 year-old Brodeur is still trying to fend off retirement for one more year and find an NHL home this season, but his odds are looking worse and worse every day). In Dallas it was Mike Modano, and in Detroit it was Steve Yzerman and Nicklas Lidstrom. Elite players are needed to win Stanley Cups, but they are also incredibly difficult to replace once they’re gone or no longer playing at a high level. The Canucks are currently staring down a similar fate. At the ages of 34, there’s no doubt that the best playing years of the Sedins twins, the years of 100-point seasons and NHL scoring titles, are firmly behind them. Now, to be fair, they are both still very good hockey players. But age catches up to everyone, and there’s research that suggests that NHLers progressively get worse the further they go into their 30s. The Sedins aren’t the only ones on the team. Burrows, Bieksa, Vrbata, Miller, Dan Hamhuis and Chris Higgins are all expected to play important roles on the Canucks this season, but all of them are also over the age of 30. All combined, that’s five out of six members of their top two scoring lines, two of their top four defensemen, and their six million dollar goalie. The team’s core is already old and declining, and regardless of how well they play this season, it’s most likely only going to get worse in the near future. Complicating things even further is that there isn’t much help on the way. The Canucks do have some nice younger pieces on the roster already, such as Nick Bonino and Zack Kassian, but they aren’t the type of core pieces that you can build a Cup-contending team around. 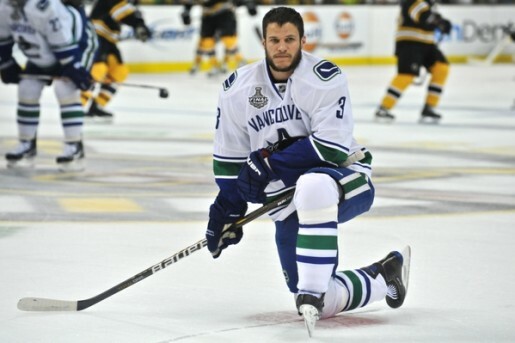 Once the Sedins are eventually gone, can Bonino and Kassian step into a first line role? It seems unlikely. There are some impressive-looking young prospects in the system, such as Bo Horvat and Jake Virtanen, but they’re still years away from being ready for NHL leadership duties, and there’s furthermore the question of whether they even have the potential to become those “elite” players that were discussed earlier. The Red Wings managed to survive the loss of players like Yzerman and Sergei Fedorov because they had Pavel Datsyuk and Henrik Zetterberg already right behind them. The Canucks will have no such luxury. Has the clock ran out in Vancouver? No…at least, not yet. As mentioned already, the Canucks are more than likely to rebound and be better than they were last year, especially with the previous media-magnet distractions (Tortorella, Gillis, and the Luongo trade drama) all now things of the past. The team’s core, as old as it is, still has gas left in the tank at this point. Vrbata and the Sedins make a threatening top line, Bieksa and Hamhuis can still protect their own zone with decent success, and the new goalie tandem of Miller and Eddie Lack should give Desjardins the option of comfortably playing whatever goalie is hot at any given time. The Canucks should be right in the thick of the playoff race in the Western Conference this season. With a little bit of luck and timing, they might even be able to win a couple of playoff rounds, if everything goes according to plan. However, make no mistake: regardless of what happens to the Canucks this season, the clock is still ticking down in Vancouver. There are very big questions that the organization will need to answer very soon. If the team can’t fully bounce back from last year and is on the outside of the playoff picture and looking in for the second season in a row, then those answers wouldn’t have come soon enough.